From a very young age, kids start learning how to speak, think, and understand what’s going on. Throughout their time of growing up, they’re taking in endless amounts of knowledge and it’s the best time to make an impact on them for the rest of their lives. Some may not realize this, but taking music lessons can make a big impact on children and their future. How do you ask? Well, let’s get right into the benefits of practicing music! Just like practicing a sport or excelling at school, taking music lessons makes a short and long-term impact. A few of the benefits of music includes, but not limited to are, patience & discipline, increase in self-esteem, enhancement in creativity, responsibility, and of course pure joy. Everyone should have some form of patience and discipline, and without a doubt, it varies from person to person. It’s better, in the long run, to learn this as a child because as children grow up they will already be used to it rather than having to change and adjust to dealing with certain situations. When practicing music it takes time to master an instrument and even a single musical piece. It won’t happen overnight, and the constant practicing, improving, and lessons all help in this process. But it’s also this process that best teaches patience and discipline. Because it’s about understanding that with time, perfection will come and learning to discipline yourself also plays a big role in the success that will come in the future. As children continue their practice, they’re learning and improving and even building their self-esteem. We all know that the power of self-esteem can make a big impact on our lives regardless if we’re children, young adults, or adults. Practicing music helps establish a sense of pride, despair, and improvement. For example, children will feel proud of themselves when they’ve mastered a musical piece they’ve been working on for a while and know it like the back of their hand. 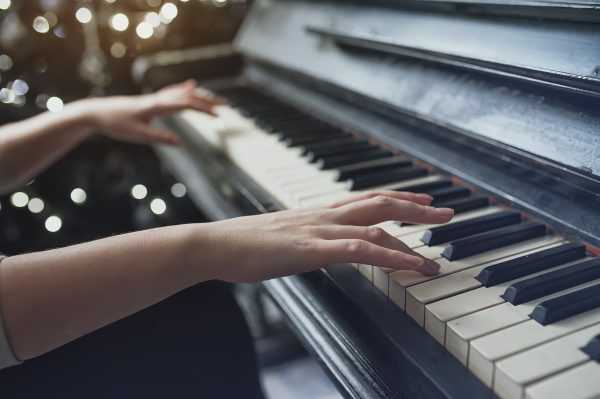 They also know the feeling of despair when they’ve been practicing that piece for a long time and haven’t been able to make progress or get past a specific section which also leads directly to their improvement. They will go back a step or two and re-evaluate the section and what they are doing so they can fix it and then master the piece. The entire process of this helps build a child’s self-esteem. Even more so, it helps them understand in what situations to feel a bit in despair, where they need improvement, and when to feel proud and accomplished. In the long run, having high self-esteem will help them in so many situations they will be happy for what they learned through their musical practice. Creativity doesn’t always come easily to everyone, and sometimes it’s something to really work hard for. Different types of creativity require different types of training, and music can inspire creativity that not everyone will experience. Part of a child’s musical practice is learning how to create their own musical pieces, understanding the connections of notes and sounds, and enjoying the harmony of when the piece comes together. All of these are complete with creativity and the urge to create something unique. Being responsible for your actions, taking care of tasks, and being honest should be something that is taught at a young age. It’s the child’s duty to take responsibility for their musical practice. In other words, if they’ve practiced, how much they’ve practiced, how hard they worked, and of course if they’re honest with their parents, teachers, and especially themselves. Music in simple words brings joy to the player and the listeners, and who doesn’t want to feel joyful. It’s without a doubt that music can bring up so many emotions whether they be anger, sadness, frustration, or happiness. Music can also lighten up a mood which is always great. This is something that is also first experienced at a young age because as children grow up they go through a range of emotions and learning that music can be an escape or can change the negative mood is extremely uplifting. It’s been said before by others but music is certainly a pathway to the soul. There are more benefits of music that children and adults can learn, and we’ve only touched the surface. But starting music lessons at a young age can help groom a child for the best future that is possible. Whether it be as a musician or it is with all the lessons learned. Music is everything that the heart and mind need.